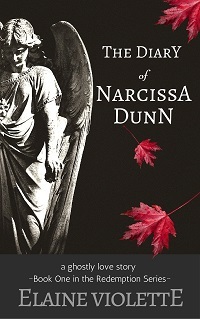 THE DIARY OF NARCISSA DUNN is a ghostly love story. Set in New England, pre-Civil War. When Olivia’s father tries to force her into an unwanted marriage, mysterious events occur, leaving the family on edge. Meanwhile, Benjamin Pratt, desperately in love with Olivia, discovers an old diary that exposes scandalous, long hidden secrets. He becomes an unwilling messenger, torn between revealing truths that will shatter her identity and destroy her family, or keep the secret and watch her marry another. Either way, he’s bound to lose her unless a mysterious woman intervenes. Thank you for inviting me to Blurbs in Bloom. I love your site! Thanks for sharing. Great sales for your novel.